With tomorrow being Valentines Day a lot of people are looking for love spells and quick romances. While these spells can be effective, they can also end up in dangerous and destructive relationships. To prevent that it is best to work a spell that is about attracting love in general. If you really desire a relationship than it is important to work towards attracting a specific type of person rather than an individual. So for example rather than addressing Jill from reception or Phil from across the street your spell would adress the type of person you are attracted to. You would include things like hobbies and interests (example enjoys role playing game or being out doors) as well as quality and personality traits (an example being likes being around children, strong heart, passionate about their interests etc). This allows you to be open to the universe rather than drilled into a specific person who may not be a good fit for you. This spell here is geared towards attracting the right person to you. The items used in the spell not only attract love but also open and enhance sexual desires and friendship. Take the pen and on the paper write out all the qualities of the type of person that you are attracted to. Be sure to include things like hobbies and interests you would like to share as well as personality traits (cares for others, emphatic, etc). These are the things that you are looking for in your partner for your relationship. While the charcoal is starting take the Rose petals, Catnip, Lavender, Cinnamon, and Passion Flower. Combine them in your mortar and pestle. Grind them into a fine powder. As you grind the herbal mixture together visualize yourself surrounded by love. See yourself in a red and pink light. See that light extending out to the universe bringing love to yourself and others. Next add a drop of the Spice up desires Oil to the burning incense. Add three drops of the oil to the candle. Take the oil and run it on the candle from the bottom to the top. You want love to grow. Next take a portion of the remaining herbs and add them to the candle. Again apply them from the bottom of the candle to the top of the candle. Turn the paper 180 degrees towards you. Once again sprinkle the Red salt and recite the above chant. Continue to turn the paper packet and fold it. Before you fold the paper each time sprinkle the red salt and then fold the paper in half towards you.. Repeat the process until you can no longer fold the petition paper. Grab the Green ribbon or chord. Start to wrap the chord around the folded pack towards you. After you tie the knot turn the packet 180 degrees towards you and again wrap the chord. Repeat with the knot after five wraps. Continue this process five more times. Once you have completed the process take packet over to the candle. Pick up the candle and drip a little bit of wax over the packet. Bring the packet over to the incense and pass it through the smoke. When the candle and incense are done burning bury them on your property at the base of a tree. You can also bury them at a cross roads sending the energy out into the universe. Carry the packet with you until love manifests in your life. Once your love has manifested burn the packet outside and sprinkle the ashes into the wind and around the tree or at the cross roads where the candle and incense remains were buried. This will finish sealing in the magic. Today I am going to be reviewing a magical powder that I have been working with for a few months. I have been working with the Money Draw Powder by the company The Astral Bridge. Working with herbal powders in spells is a central component to my personal magical practice so for me using this powder was a great way to work my magical practice. Do you need more money! Well use this powder to empower all your money draw workings. Sprinkle it on cash, roll an anointed candle, use some on yourself or in a mojo bag. The wonderfully smelling powder has a cinnamon powder base mixed with powerful money drawing ingredients. I have found that description to be fairly accurate. The powder does have a cinnamon base which works as cinnamon is a powerful herb with money drawing aspects. The only issue I have as a customer is that there is no other ingredients listed. While I can understand not wanting to disclose recipes to the public, there are issues of allergies and dangers to animals or small children to consider. So I would advise the business owner to disclose the other herbal components to their Money Draw powder. As to the effectiveness of this powder I can say that it has worked. I have been using it in a money jar spell, I have used it in packet spells, and I have also simply sprinkled it over my products before events. When I have used these components together I have had more successful sales than other times. I will continue to use this powder until I run out of my supply and even after that I may buy some more. This product is so effective that a very little bit goes a long ways. You only need a pinch around your candles and in your packets to be effective. Once the powder starts to work you will notice results. As a business owner the next thing I am going to try with this powder is dusting my table with it at an event and my work space at home to ensure continued sales. This is is very interesting book that covers and obscure religious and spiritual practice. This book is not like anything else on the market related to Celtic traditions. This book is very unique, and while it does cover Celtic spirituality and Druidry it does some from the tradition of the Picts. Most books on Celtic Paganism or Druidry cover Irish or Welsch traditions. Very few touch on the Picts and their tradition. The author covers this tradition from the way it was taught in his family. In places where his family tradition had gaps the author did his best with research into history and lore to complete the tradition. This book is his way of preserving his view and style of Pictish Druidry. This book is not really broken into chapters but parts with related sections. Aside from the introduction there are eight sections in the book. Each section focuses on unique aspects of this tradition providing information on lore and history as well as theory and practice of ritual and magical workings. In the Introduction the author starts by presenting several common terms and definitions used within the book and Pagan traditions and spirituality. Next the author explains his approach to reconstructing religious and spiritual traditions. This is essential to understand as the practices in the book are a mixture of reconstructed practices and traditions passed down in his family. The introduction concludes with a summary of principles. Here the author also outlines what exactly he considers Pictish Tradition to entails. The first section of the book is entitled Pictish Orthodoxy. This section begins with an overview of Celtic spiritual traditions and the different forms out there. The author presents an argument for Pictish Tradition origins and how we does have information to build a base on. This section here is also where we are introduced to the Gods. The section on the Gods covers a basic introduction to the world view. It covers several of the spirit concepts as well as the type of Polytheism that Pictish tradition followed. Here the author introduces the idea that the Picts would have adopted some Norse traditions. Here the author covers information on the various Gods of the Pict tradition. He gives their names and attributes. The author covers three different “tribes” or types of Gods worshiped. There are the Greater Gods, the Brethren Gods (Norse Gods), and the Tuatha DeDannan. Through the categorization of the Gods we get a view for the complex syncretic path that is the Pictish Tradition. The section ends with a discussion on the concept of the trinity and the sacred three. Here we learn about the Celtic three other worlds and the Celtic Knot. The author also explains through this sacred three why certain deities are seen as a Triad. To tie in the Norse tradition with the exploration of the Celtic other worlds (3) the author lists the Nine Norse Realms. The section part in the book is called Awen. This section is about taking action and how worship is through action. Here the author covers the sacred Holidays. The section on the holidays is rather small. It does present a few examples of how those sacred days could be honored through actions and activities rather than ritual. The third part of the book is one of the most interesting. This is the section on the Faerie faith. Many spiritual traditions work with beings called the Fae. This section is about the Pictish tradition and their take on the Fae. Here we get a taste for ritual work and how the Picts dealt with contact with spirits. This chapter had some of the most useful information. It starts out by explains what the faerie spirits really are and how the modern view of fairy’s is actually quite far from the historical perspective. The author explains that he believes this would have been the practice of the common folk and was less to deal with Gods and was more animistic in nature. After giving brief examples of offerings and how the Faerie Faith may have been practiced the author begins to discuss the different types of Fae. Here we see the variety of spiritual forces found within the Pictish tradition beyond the Gods. The author gives several different types of fae including descriptions of Norse Fae. Once we are familiar with types of Fae we get into the first practical bit of spiritual work within the book. Here we are learning how to set up an altar to suit the practice of the Faerie faith. The author covers three different types of altars to the Faerie people and the types of fae best honored at each. The chapter ends with ideas on how to make contact with the Fae. Here the author covers plant talismans and flowers in your garden that could attract the fae. The author also presents a detailed guided meditation to use meditative techniques to meet fae and work with them. In all reality the section on the Faerie faith could be a book in its own right. The author does a great job of presenting information that gives an introduction to the practice within the context of this particular cultural view. The fourth section of the book is about the priesthood. Here we find out the authors view on Priesthood and why its not a mantle to be taken up easily. The author covers the different types of priests and Druids in this chapter. With each type of druid or priest the author covers the roles they had and how they worked for the Gods and the community. Here the author also covers the various Norse Priests that would have filled similar roles to the Druids. The author makes it clear that for him priesthood and ministry are the same thing. The fifth section is where we first get introduced to the practice of magic. The practice of magic is one of the main draws to practices like Druidry, Shamanism, and witchcraft. The idea of being able to perform rituals and take specific actions to create change in ones life is very appealing. So it is important to cover the use of magic and the theories behind it. In this section the author covers the hows and whys of magic. Before getting into magical laws and theory the author outlines the phases and steps involved in spell casting. He explains several magical laws and magical theories. This gives you the basis to start exploring the magic discussed later. The majority of the section on magic focuses specifically on the Druid practice of magic. The author gives examples of types of magic he calls Low, Middle, and High. In each section of low, middle or high there are examples of types of magical workings and practices that would fit within those concepts. The chapter ends with a discussion on Druid rituals, tools and the organizations. With the information on ritual and tools the reader now has enough information to create simple spells and workings within this magical paradigm. It is here that we have really begun to be able to piece together a practice from the material presented. The sixth section in the book is on Magical languages. Here the author introduces Ogham and symbols that are used in magical ritual. The author covers tattoos and scarification rituals as ways that the Picts used magical symbolism on their body. The section on magical languages ends with a brief introduction to Runes and Runic magic. The seventh part of the book is dedicated to Runes. This is one area of the book that is entirely dedicated to a Nordic aspect of the tradition. Here the author covers the Rune poems and the three different Rune systems. He covers the use in magic and the use in divination. The author even covers creating your own traditional Rune staves and doing traditional Runic readings. This section and the Faerie faith chapter are the two section of the book with the most practical information and the most unique information. The author ends the book covering a variety of related spiritual traditions. The author begins the section by covering different Druid and Celtic traditions and organizations. Here the author covers traditions like Shamanism, Wicca, and general Witchcraft. This shows that the author not only respects these other spiritual traditions but he also sees how they are connected and possibly related to his own traditions and practices. Overall the book provides great insight into this spiritual tradition. There is enough information that the reader could decide to explore the practice for themselves personally. The author gave enough information to form a workable practice without doing all of the work for you. He allows the reader to start with this information and work with the spirits and Gods through personal work to develop their priesthood and their practice. I would recommended this book to people interested in both Celtic and Norse Pagan traditions. While I may not agree with all of the information presented on the Norse traditions, I feel that the author did an excellent way of presenting how the Picts would have adapted the Norse Gods and practices into their traditions. Wash the jar seeing it filled with money and succsess. Add 1 tbs of the Money Bath to the wash. Walk around your home picking up any loose change. As you see the change if it is heads up state “Hi Hunting money you found me” and put it in your pocket. If it is tails flip the coin thrice stating “hunting money ,hunting money, you found me hunting money” Pick it up and kiss it before putting it in your pocket. Once you have the money gathered put it in your jar. See yourself with all your financial needs met and having money to spare for entertainment etc. Shake until you feel it full of that energy. Uncover the lid. Sprinkle the money powder and the salt over the cash. Add three drops of the Money oil. Cover and repeat the shaking and chant. Shake the jar two to three times daily with the chant as above. At the end of each day put any and all spare/loose change in the jar. Repeat the edition of the oil and powders. Shake here again. Every time you pick up spare change use the “hunting money chant” and that will help bring you wealth and succsess in general. When the jar is full take the money out and buy yourself something. You can use the same jar over and over again. If you decide to use the candle dress the candle with Fast money oil, Luck gain oil, and The Green salt as well as Money draw powder. Burn it near the jar but not on top of the jar unless you plan on burying the jar to create a permanent charm. This is one of the most powerful books I have read in recent history on spirituality in general. 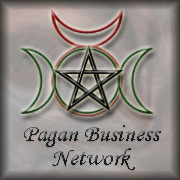 While yes the book focuses on Rootwork and Conjure as the author knows them, the book is highly spiritually focused. For me even if I don’t put all of the information into practice, the components of the book that made me question spirituality and what it means were well worth the investment. So to begin my review I have to say that even if you don’t follow any magical spiritual path as a guide for spirituality any one of any path can get something out of it. I would even recommend this book to Christians who are looking to deepen their personal spirituality and connection to their religion. Everyone on any path in life can get something out of this book. The connection to your own spirit that this book teaches us to develop is important for everyone and everything. If you are looking for a book on spells you wont find them in this book. There are several workings discussed but actual spell work for money, wealth, love, etc are not really seen in this book. There are magical techniques for baths and creating mojos as well as connecting to spirits in this book. So there is magic with in the book but not necessarily spells for luck, love or mney drawing as most people are familiar with. The focus on this book is the spiritual component of Hoodoo and Conjure rather than the spells. Too often people want to jump into the spells and workings of magic without the spirit component and thus they miss a huge part of the Southern Conjure traditions. This book provides that spiritual information. It is that focus which sets this book aside from others. This is one book I am going to be referencing again and again. There are several exercises, meditations, and self questions that I am going to be looking at periodically. There are many things in this book that made me think and start to evaluate my personal path and practices. For this reason I am going to be using this as a reference and guide to develop my own connection to my spirituality and my own personal spirit. The first chapter in the book is all about the foundation of this practice. Here we learn the authors experiences and his history with the practice as he knows it. This is where we see how his experiences and lessons in life and explains the reasons why he wrote this book. He mentions what the foundations of his personal magical practice are. By knowing this information you can better understand the worldview and practices presented in the rest of the book. The second chapter is about the starting of finding your paths to the spirit that is you. The core teaching of this book is that humans are spirits as well. We are spirits having a physical existence as humans. In the teachings of this book and worldview if you start to realize this you will not only come into your own power but also start be be more whole yourself. This chapter starts a basic discussion on types of spirits that walk with us as well as types of spiritual paths. After talking about the paths there are also descriptions on how we are called to find our paths including symptoms of the different calls. “If you are not willing to cry for, be angry for, pray for, and ask help of its spirits, then stay away from this work. These spirits went through hell when they first came to America in boats of flesh. No one can change this root, and why would we want to? If you want to find the root that cannot be bound, then then root spirit of conjure is for you. If you want to grow your spirit from a place of truth and spirit power then conjure is for you. If you want to reach deep and pray high, then welcome to this deep well of spirit and spiritual nuturance. The rest of the chapter focused on what the Root of conjure and the cultural mixtures that made up his conjure. The author mentions honoring his own Roots and how he works with them. After mentioning the spirits of African, Native American, and European folk practices who settled in that area he goes into the roles that Conjure played in that culture and still continues to play to this day. The fourth chapter is about the Nature and Power of conjure. Here the author gets into the fact that Conjure does have ties to Christian spirituality and Christian religions. He addresses that many conjures use words like God and Creator and occasionally Maker. Here we see the power in conjure comes from the source of creation and the power to create which resides in our own personal spirit. The author gets into a few types of spirits that are connected to this power. One of them being the God of Christianity and divine beings. The author is specific in that for the reader and seeker that it doesn’t have to be the God of Christianity but it is the Source of all creation and all essence which is a spirit of sorts. This is where we first start to actually get introduced into some of the techniques in this practice. The author goes into several different ways that conjure works with spirit. These include prayer, baths, blessings, healing, and cleansing. After starting the basics on techniques we are introduced to a few of the different types of spirits that are worked with in conjure. Chapter five was probably my favorite chapter in the book. Its for me really the most important chapter in the book. This is the chapter that focuses on growing our spirit. The author had previously mentioned that working with ones own spirit and knowing ones own spirit was the most important thing in conjure. Here we finally learn to address the spirit and work with our spirit. The best part of this chapter was the checklist on the attumement to our spirit. Not only does the author give a list of questions and symptoms of disconnect with our spirit but he provides remedies to help fix the situation. For me this was really the way for me to start to see how connected I am to my own spirit and what I can do to fix it. The author does mention that some of those ailments are actual symptoms of health issues (depression, anxiety and other mental health issues) and if you answered yes to many of them that you should seek professional help. For me that disclaimer and statement shows the connection between the mind, the body, and the spirit and how mental health can effect spiritual health. This section provided me with the most enlightenment. It gave me tools to adjust and start working on my own personal spiritual path and development. One of the reasons I had started to explore Conjure and Rootwork was for a spiritual connection and a way to deepen and develop my spirituality beyond the basic 101 books. Here I have tools to find what I was missing and develop my path. The chapter ends with providing you with the steps to growing in your spirit which is what you need to do after you start the work of attuning to your own spirit. Chapter six is about maintain spiritual health. The main focus on this chapter is spiritual cleansing and cleaning. The author explains how important is is to cleanse ourselves from the different forces in our lives that can cause spiritual clutter. He told a story of a client that his mother had to illustrate the issue. The author ends with a working for spiritual cleansing. This provides the start of our practical conjure spirit workings. Chapter seven is about fixing or attracting good spirits to you. Here we learn how actions we take and the way we live our life sends signals to spirit. One of the first lessons in this chapter is that often we focus on our lack of something when we want something then more often than not we are going to be stuck with more of what we do not have. The author then begins to go into how we send images and messages to spirit so we can attract what we actually want. The author then starts getting information on working on attracting the right spirits. The first real focus is on a prosperity spirit. The author provides a recipe or a ritual working outline to attract a prosperous spirit. One thing this working outlines is that in Conjure everything is spirit and everything has spirit. If you can accept that view and work with it then you are going to work conjure. After the pot the author talks about maintain the spirit and provides steps and techniques to keep spirit alive. The first part of this practice is the establishment of an altar. The author continues with a ritual working for the altar set up and the consecration of the altar, yourself, and your home. While the workings are not exact they provide you an outline to make the conjure your own. In the end you must be the one to do the work. Chapter eight was probably my second favorite chapter in the book. One thing I have personally been interested in for years has been working with graveyards and various forms of graveyard magic. This book is the first book I have seen that addresses this practice. Its considered Taboo in many modern magical traditions yet many acknowledge that there is strong power in the graveyard. Finding this chapter thrilled me to the core. It started to lift the veil on these workings. There is so much in this chapter that covering the techniques and information would be a review in itself. I will say the author provides information on the power of the graveyard works and why we should work with graveyards. He provides information on working with graveyard spirits as well as how to gather graveyard dirt and work with graveyard dirt. The author spends the other half of the chapter talking about working with our ancestors and providing ways to honor them and work with them in our home and life. Chapter nine is an interesting chapter. It covers ways to enter into the spirit world as well as working with a spirit unique to his tradition and practice. The technique discussed I found most interesting and will most likely try myself was the concept of tapping or knocking. Its essentially like you are knocking on the door to the spirit world like you would a regular door. After tapping and knocking he covers river magic as well as fire and candle access to the spirit world. Here there is a working for river magic specifically outlined. The last part of the chapter includes a ritual and a poem I am likely to work into ritual work. Here is where the author teaches us about the Dark Ridder and gives us a way to introduce ourselves to him and work with him. The spirit known as the dark rider had been mentioned earlier in the book as a traditional spirit but not much was told about him until now. The author does make it clear that what he shows us is not the full formula for encountering this spirit. The working he provides is an introduction to the spirit and nothing more. Chapter ten is the final chapter in the book. In some ways it works very much like a conclusion focusing on working the Root or working the spirit which is the force of Conjure and Root work. This is how the chapter starts anyway. It is here we see the final outline of the techniques and practices covered in the book to develop and connect with our spirit. The chapter ends with talking about a few specific plant spirits and with a formula for making a spirit bag. This book provides several powerful tools for any spiritual tradition. 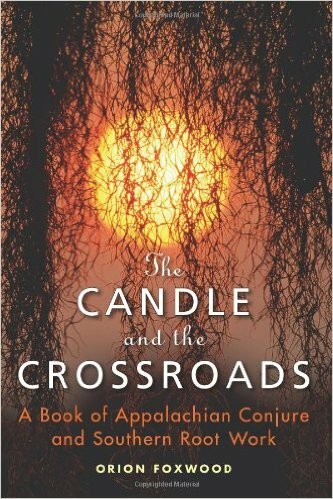 In the end this book illustrates not only the power of Conjure and Southern Rootwork but also the power of working from your own spirit. The author provides an excellent introduction to the spiritual components of Rootwork and Conjure while also providing a few practical workings in the magical sense. Over the last year and a half my magical practices have started to take a change towards more folk magic systems. To me the lack of formalized ritual for spells is much more appealing than the need to invoke deities for every spell or magical action I perform. In many ways folk magic traditions relate to me more than most of the modern witchcraft practices as they do not make magic separate from day to day life. Magic in this instance was a tool for life nothing more or less. Folk magic simply was and is The Magic of the people. I’ve been focusing on Hoodoo which is an American system of folk magic created during the slave era and deeply tied into African American culture and Southern Culture in general. I figured as an American I might as well look into a system of magic that was born here in this country. Often times I get mixed views on my interest in Hoodoo as I am not Black nor am I from the south. I am a Northerner. I am from Maine and I have never lived outside of Maine. So for some of them I was participating in cultural appropriation. Not being from the South or Black how could I understand all the intracices of the culture? How could I honor those ancestors? One common theme of advice I was given was to look into my own personal heritage and see what sort of folk magic traditions I could explore. I’d be honoring my ancestors and I would be staying within specific cultural guidelines. For this reason I looked up and did some searching on Germanic or Norse style of Folk Magic. Trolldom was the topic that came up. So when I was given an opportunity to read a book on my own ancestral practices and traditions I was all over it. It felt right to be reading that book and to start looking at adding some of the workings into my own practice. If you are expecting spells and forumulas that deal with the Norse Gods you wont find a lot in this tome. Most of the spells either deal with a land spirit or they call on Jesus, God,Mary,The Holy Spirit, or the Devil. Like most folk traditions alot of the pagan elements are still there but you will have a hard time to find specific workings with the Norse Gods. There are plenty of books on the market for Nordic witchcraft and magic that deals with those deities. This is the magic of the people. We are lead to believe that all the magic died out when the Norse Culture became Christianized. That is simply not the case. In fact many of the old workings which dealt with the old gods were simply modified to deal with the spirits and the religion of Christianity. Knowing this now I am still quite happy with the material in this book as I feel it still connects me to those ancestors. Afterall my most recent ancestors would have been Christian. So if they practiced this craft or if they had a family style of Trolldom it is the Christian spells and spirits they would have worked with. For the reasons above I have read and enjoyed reading Trolldom. It took a long time to read. This book is intense and full of information. I spent a lot of my early days with the book just going back and forth with the glossary at the beginning of the book. There were so many new terms and phrases to learn and understand. The language component in this book is one of the most important elements but it is also one of the most difficult components to deal with. The language barrier involved in this project is the reason there are two sections based on language. You have a glossary (which is right after the dedication) and then you have a section on different terms for different practices within this particular set of workings and systems. Trolldom encompass more than just Norway and Icelandic magic which is why the language issue is present. This book actually ecompases quite a few different “Nordic” cultures. It covers Norway, Iceland, Sweeden, and Finland as well as having a bit of Anglo-Saxon and some Lore preserved in Powwow or the Pennsylvania Dutch traditions. For this reason the section for the glossary and on the terms is not only important to mark and return to throughout the book, but is an essential part of understanding this practice. This book is broken into a few different sections. First is the glossary which was the most difficult to get through. The second section is about the History. Here the author showed how and where Trolldom survived. I find it interesting to note one of the places visited and mentioned in the book is in my Home state of Maine. Its not a town I have been to or near but it in some ways brings this book and its workings closer to home. I feel better knowing that there are places in my home region where this practice was passed on in some manner. After history you had the terms. This section was about how different regions had different names for the practice of Trolldom and the practitioners of Trolldom. Here we also got into the discussion about how one learned Trolldom and how you could become a professional in the art of Trolldom. In this culture Trolldom was not just a practice it was an honored profession that many people would take advantage of. You had your specialists and a few generalists each with unique skills and practices as well as a unique term for their practice. The next section was on divination on the two different terms and styles mentioned. For me the importance divination plays in Trolldom shows me a relationship with Hoodoo. 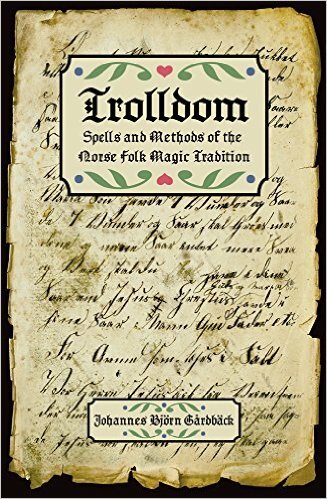 Trolldom has infact been called the Norse Hoodoo, so I would say that the use of divination in magical practices and how they dictate the works to be done is a key component in folk magic. It seems today more and more people are just doing what ever type of working seems to be the best for them and their situation without taking the time to check the source of the problem or situation. Finally we get into the workings or the methods. These spells are called Formulas. The book has many different sections from Health and healing, to hunting, protection, curses, and even a group of miscellaneous spells. What I liked best about this section of the book was the fact that there was the English spoken components translated but you could also see the original language as well. For me this shows just the amount of work that went into this tome. I will say there are several spells and workings that are basically included only for historical accuracy. Some items listed in spells like animal parts or human bones are not as easy to get a hold of as they may have been at one point in time. There are some spells that mention digging up and harvesting things like bones of dead men or going to hanging sites. Many of these practices are not readily acceptable in the world we live in today. However if you wish to understand a tradition that has been around for centuries you really need to understand these historical spells. There is enough material that you can find spells and formulas that are suitable for today’s society. I hope that the author will continue the work and write a book just on the herbal charms and herbal uses in this book. While you can find several herbs mentioned in the folk name as well as botanical and a common name, only a small selection of the possible herbal charms are even shown in this work. For many people who practice folk magic Herbal magic is a huge part of the practice. So I would encourage the author to work on an herbal trolldom book. This powder recipe here is one of the two powders that we made at Pagan Unity day in myIntroduction to working with Incenses and Powders. All of the ingredients will have links to where you can buy them in the amounts given. Step 7: Take your wand and direct those emotions into the blend as you stir it with your wand. Step 11: As you mix the cinnamon into the mixture ask for there to be lust and desire in the relationship and that you have the power within to protect them and yourself if needed. Step 15: Hold the bowl to the heavens and thank the spirits of the plants. Place a small sprinkle of the mixture on the earth and thank the earth mother, and the green realms for helping you in the ritual. Step 16: Place mixture in a storage container until ready to be used. This is a powder. It can be used as a spell by itself, in spells, and as an incense. Let your magical imagination guide you on working with this powder.